The SETI challenge has often been likened to archaeology, and for good reason. In both cases, we are trying to recover information about cultures from the past. When Heinrich Schliemann dug into the numerous layers of Troy — and in the process inadvertently damaged precious remnants of later eras — he and his team were exploring the heroic age of Homer. Any SETI detection will likewise deal with a signal from the past. Just how old it is will depend upon how far away the source world is, for this information travels at the speed of light. The archaeology analogy is hardly perfect, because on Earth we are dealing with artifacts of our own species and are often working with linguistic remains we can decipher to aid our understanding. Figuring out Egyptian hieroglyphs wasn’t easy, but the stele known as the Rosetta Stone gave us a text in three scripts that helped us make sense of them. Even Linear B, the script of the Mycenaean Greeks before the emergence of the Greek alphabet, can be placed into context as the oldest Greek dialect, apparently borrowed as a script from the Minoan Linear A. But a SETI reception will be pure message, and absent the numerous cultural and linguistic cues we rely on to make sense of an undeciphered language, how will we approach it? While we have significant problems with some ancient languages — the resolution of Mayan awaited seeing the glyphs in an entirely new context, looking at them phonemically and morphologically, and Etruscan is a challenge to this day — the problems with a genuinely alien message from another star dwarf these issues. Which brings me around to Clément Vidal, who has written a book that digs with gusto into the SETI question by way of asking what kind of detection we may expect to make. What we might call ‘traditional’ SETI by and large supposes that a distant civilization will be trying to get a message to us, for we’re highly unlikely to pick up radio signals not beamed in our direction. 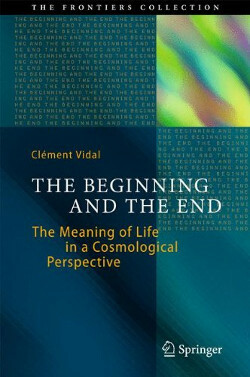 The Beginning and the End (Springer, 2014) is subtitled ‘The Meaning of Life in a Cosmological Perspective,’ and SETI is only one aspect of its tripartite discussion. But its analysis of SETI and its application of a cosmological worldview help us see current SETI efforts as part of a larger picture. The communication assumption is sensible given SETI’s roots and the deliberate decision to look for signals in the most probable part of the spectrum, which early advocates saw as the region between the spectral lines of hydrogen and the hydroxyl radical — between 1420 and 1665 MHz. The ‘water hole’ for communication was quiet and presumably would attract cultures looking for other intelligent beings. But there are other ways to search for life that add valuable tools to our quest. Vidal is a philosopher and, as his book attests, a polymath who delves into astrobiology, complexity science, cosmology and much else in the course of his discussion. Analyzing the weaknesses of our underlying assumptions is a key part of his argument. He believes we do not need to assume communication to conduct a SETI search, nor do we need to confine our efforts to our own galaxy. Radio methods offer us the hope of one day engaging in a two-way conversation with another species, putting the premium on nearby stars, but what I often call ‘interstellar archaeology’ — the science of looking for ETI in the data, and that data may be spread over numerous galaxies — yields on communications while stressing detection of civilizations that may be far more powerful than our own. ‘Zen SETI’ is the entertaining term Vidal coins for this approach, one that has been championed in recent years by Milan Ćirković, though analyzed by many scientists over the years, from Freeman Dyson to Nikolai Kardashev, James Annis, Richard Carrigan and current working groups like Penn State’s Jason Wright, Matthew Povich and Steinn Sigurðsson. I won’t go through a complete round-up here, but you can find current work discussed in my essay Distant Ruins, which ran in Aeon. The point is to think creatively about information that may already be in our astronomical data, and about new searches that put a premium on the signature that a Kardashev Type II or III civilization would leave. Needless to say, Zen SETI makes no claim at being the only approach to the discipline, and indeed, these methods should be seen as complementary to ongoing radio and optical searches. When Richard Carrigan went to work searching infrared data from the IRAS satellite for the signature of possible Dyson spheres (see Toward an Interstellar Archaeology), he was broadening the effort to study SETI targets in places as distant as M51, the Whirlpool galaxy, pondering how a Kardashev Type III culture might begin turning stars en masse into a wavefront of such spheres as it maximized its energy resources. 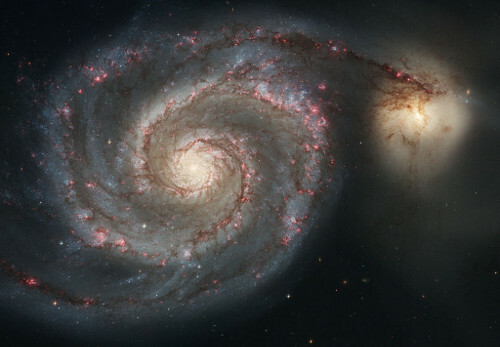 Image: M51, the Whirlpool Galaxy. If a Kardashev Type III culture were active here building Dyson spheres, would we be able to see its signature as a growing void in visible light? Credit: NASA/ESA. Such a search doesn’t preclude communications from a much closer civilization, but it does ask a thoughtful question. We now peg the age of our universe at roughly 13.7-13.8 billion years. We also think that the oldest Sun-like stars formed as early as about 12.5 billion years ago, with rocky planets beginning to emerge at that time. Give life five billion years to emerge, as it did on Earth, and you have the possibility of the earliest intelligence appearing as early as six billion years after the Big Bang. Because the Milky Way is thought to have formed between 10 and 11 billion years ago, intelligence may have appeared in our galaxy as much as five billion years before we humans began turning radio telescope dishes toward the nearby stars. Applying the Copernican assumption naively, we would expect that correspondingly complex life forms on those others to be on the average 1.8 Gyr older. Intelligent societies, therefore, should also be older than ours by the same amount. In fact, the situation is even worse, since this is just the average value, and it is reasonable to assume that there will be, somewhere in the Galaxy, an inhabitable planet (say) 3 Gyr older than Earth. Since the set of intelligent societies is likely to be dominated by a small number of oldest and most advanced members…we are likely to encounter a civilization actually more ancient than 1.8 Gyr (and probably significantly more). We need not be overcautious in our astrobiological speculations. Quite the contrary, we must push them to their extreme limits if we want to glimpse what such advanced civilizations could look like. Naturally, such an ambitious search should be balanced with considered conclusions. Furthermore, given our total ignorance of such civilizations, it remains wise to encourage and maintain a wide variety of search strategies. A commitment to observation, to the scientific method, and to the most general scientific theories remains our best touchstone. Paul Davies makes much the same point and is quoted by Vidal as saying that “the universe is a rich and complex arena in which signs of alien intelligence might be buried amid a welter of data from natural processes, and unearthed only after some ingenious sifting.” Tomorrow I want to go further into our SETI assumptions and where they might be challenged, using Clément Vidal’s fine discussion of Zen SETI and its consequences for how we proceed. The Ćirković paper is “Macroengineering in the Galactic Context” (full text). Charles Lineweaver’s study is “An Estimate of the Age Distribution of Terrestrial Planets in the Universe: Quantifying Metallicity as a Selection Effect,” Icarus Vol. 151, No. 2 (2001), pp. 307-313 (full text).